Melbourne: Roger Federer ground out a tough three-set win to make the Australian Open third round for an incredible 20th straight year Wednesday, with long-time rival Rafael Nadal and women’s defending champion Caroline Wozniacki also safely through. On an overcast day at Melbourne Park, second seed Angelique Kerber, the 2016 winner, and former US Open champion Sloane Stephens joined the big guns in progressing, but the women’s side also saw a top 10 player crash. The Swiss star’s Australian achievements so far put him on a par with other six-time winners Novak Djokovic and Roy Emerson — although the Australian great’s victories all came before the Open era. He next plays American Taylor Fritz. If he goes on to win the tournament, he will become the first man ever to claim seven or more titles at two Grand Slams, having already won eight Wimbledons. 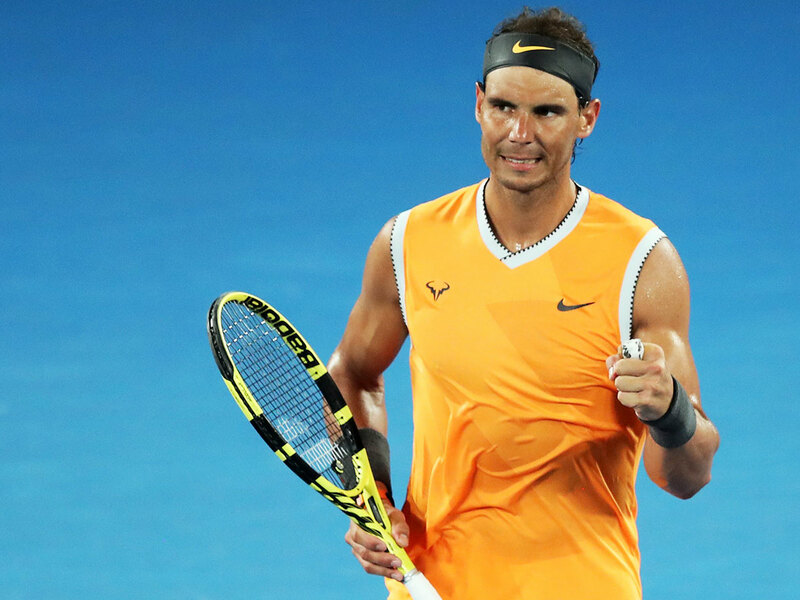 Seventeen-time Slam winner Nadal had an easier route to round three, outclassing local hope Matthew Ebden 6-3, 6-2, 6-2. Sixth seed Marin Cilic, who lost in the final to Federer last year, had no such dramas, grinding past American Mackenzie McDonald in four sets. The Croat now plays Spanish 26th seed Fernando Verdasco, who beat Radu Albot of Moldova. Another young gun, Greece’s Stefanos Tsitsipas, also stayed alive, overcoming a tricky test against Serbian Viktor Troicki in four sets. It set up a potential glamour clash next with Maria Sharapova. “I thought I started pretty well, started aggressively, but she started making less errors and I was just trying to stay consistent,” Wozniacki said.